Looking to take a “runcation”? A half marathon might just be the perfect distance to satisfy that race craving along with an awesome vacation. Half marathons are usually big races, so you’ll really feel like you are at an event. But at the same time, the distance is not so long that you’ll feel drained and too tired to sightsee post-race. 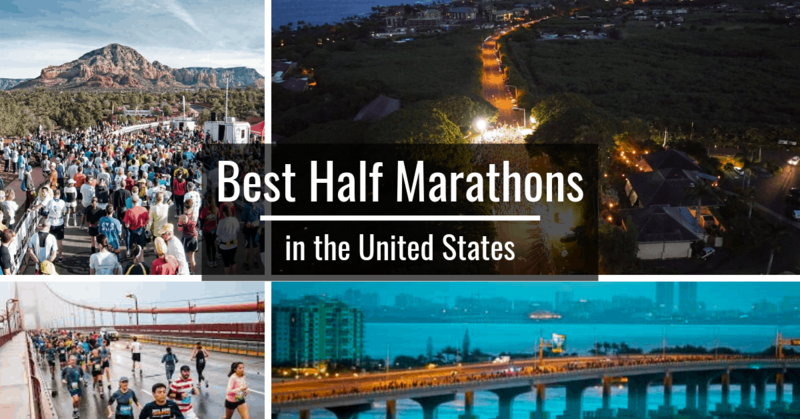 If you are interested in a half marathon and a vacation, we’ve found the best halfs in the US! There’s not much more breathtaking than taking in the ocean views as you come running down the hillside in tropical Kauai, Hawaii. Kauai is called the Garden Island, for good reason. It’s home to some amazing botanical gardens and contains the largest collection of native Hawaiian plants. 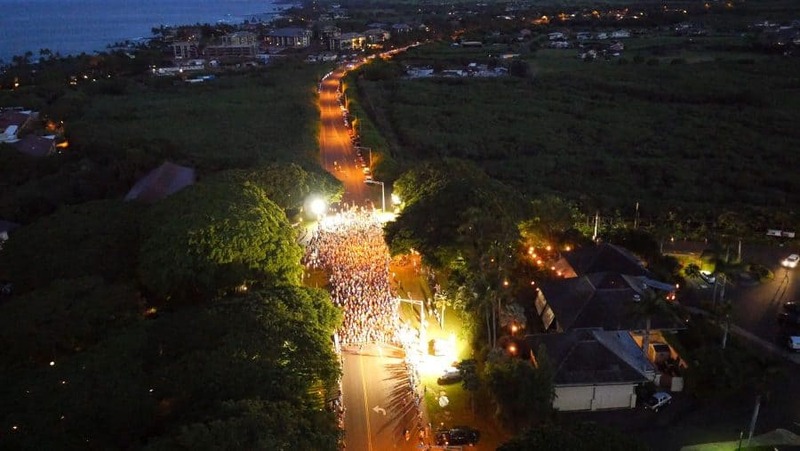 This race starts in Poipu, HI and shares 11 miles of the course along the full marathon runners. Racers follow the coastline to take in some incredible views of beaches, tropical forest, and volcanic rock structures. Activities along the way will entertain, such as hula dancers and Taiko drum players. Runners will finish through Kukui’ula Resort, with ocean views towards the last part of the race. The celebration at the finish line includes live entertainment, food and refreshments for the rest of the morning. This race is usually at the end of August or first of September. If you get to Kauai a day or two before the race, you can participate in the Fitness Expo that’s held a couple days before race day. This way you can get info on the latest running gear and nutritional info that may be resourceful for race day. There’s a lot of things to do in California, and one of the most popular vacation destinations is San Francisco! From the Golden Gate Bridge, to Fisherman’s Wharf, and all the sites surrounding, there’s lots of stuff to do. There are actually two half marathons in San Francisco on the same day in July that have different running paths. This way you can actually choose what you see during your race. There’s a full marathon the same day, so these are half of that route, and everyone celebrates together at the full marathon finish. The first half marathon starts down on Mission Street and runs all along the Embarcadero waterfront, towards the Golden Gate Bridge, and finishes at Golden Gate Park. If you enjoy viewing the Bay, this would be an excellent morning race to take in. The second half marathon starts at Golden Gate Park and takes you through the city streets for a view at what the city offers. This second race has a lower elevation and slight downhill finish, so it’s useful for runners trying to set a personal record and gauge their fitness. Enjoying a glass of wine would not be beneficial before a half marathon. However, taking in the beautiful views of the rolling hills of vineyards would be! Then enjoying a tasting of nearby wineries afterwards or partaking in all the festivities that surround this race would give you a vacation to remember. This July race is full of beautiful scenery with a race route starting at Cuvaison Carneros Winery and finishing at City Hall in Sonoma Plaza. There’s a lot of historical sites to see throughout wine country. So, when you finish your race you can walk through these local streets to take in this fun and festive area. This race regularly sells out quickly, so you have to stay on it and register early. It has been named as one of the Top 20 Half Marathons in the BibRave 100. Enjoy the many wine tastings or even olive oil tastings in the area. There’re always extra things to see and do in this area of California. Take in the sun, the surf, and the sand in beautiful Miami during the perfect race weather in February! This location will give you many options for a memorable vacation at the same time as participating in a fun Half Marathon. 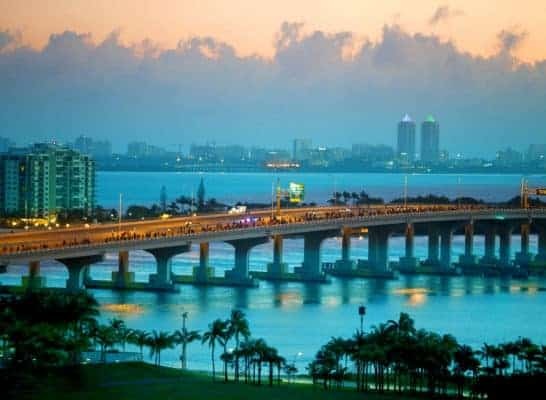 This Miami half marathon course is designed to motivate and push runners through to the fun festival at the finish line at Bayfront Park. Almost the entire half marathon race route is right along the same route as the full marathon, so all runners get to stay together through most of that first half. Since Miami is at sea level, this single loop race route is relatively flat with only a few slight inclines as you cross bridges over water. Entertainment will be going on all along the course for the runners and spectators to enjoy. This Miami course is also registered as a Boston qualifying course, so if you needed to qualify for that race, you could use this one. For the Disney lover or kid at heart, you just might love the Disney Princess Half Marathon. Held in February, this is not just a one-day event, this encompasses an entire weekend in Orlando, FL! For males and females of all ages, with events designed for all racing levels, this Disney weekend has it all. Racers are encouraged to design their racing gear with their favorite Disney characters in mind. 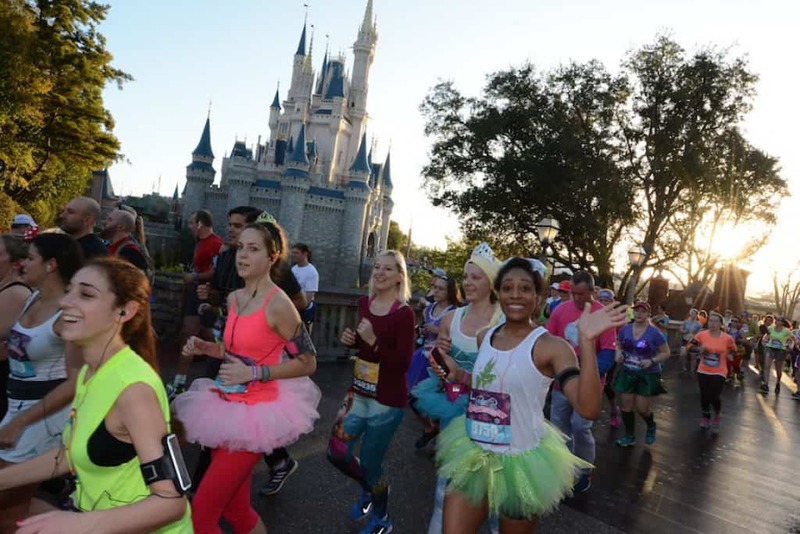 So you’ll find runners in tutus, fairy dust, and other fun Disney merchandise. This race runs right through Walt Disney World Resort, with all the famous characters cheering you on from the sidelines. There will be fun and activities also along your race course. Orlando is home to many fun vacationing activities other than Walt Disney World. When you aren’t running in the race, take some vacation time to enjoy Universal Studios, Epcot, Sea World, Animal Kingdom, Hollywood Studios, and Discovery Cove. There’s an endless number of things to do in Orlando. 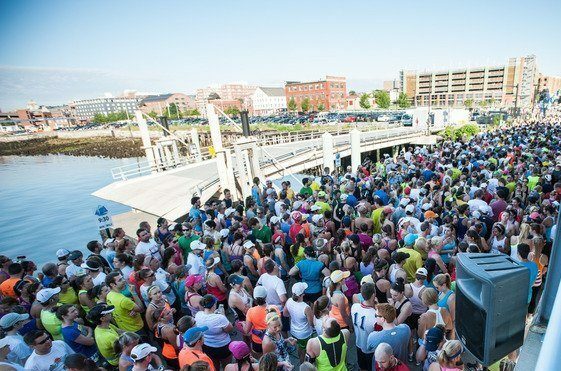 If historic war front sites, lighthouses, and waterfront venues are of interest to you, then you don’t want to miss the Shipyard Old Port Half Marathon in Portland, Maine. This single loop race occurs in June when the temperatures are perfect in Maine and it’s USATF certified, for those who only prefer the tested distances. This race has it all along the designated course. Starting off in a tree-lined neighborhood, runners get to view some gorgeous 19th century mansion houses, followed by a challenging uphill climb, reaching 120 feet at its highest point. This just means you get to enjoy a downhill slope back to sea level for a stretch of 8 miles. You’ll enjoy scenic river views, plus views of Portland’s waterfront, and many additional historic sites in the last half of the race. An additional uphill climb rewards you with Bay views, islands, lighthouses and additional historic war sites. This race finishes in the Old Port District cobblestone streets. Free food, drinks (including local craft beer) and entertainment are all there to meet finishers at the block party celebration. During your stay in Portland, spend some time visiting those historic sights, lighthouses, and islands you saw during the race. You’ll appreciate the up-close look. 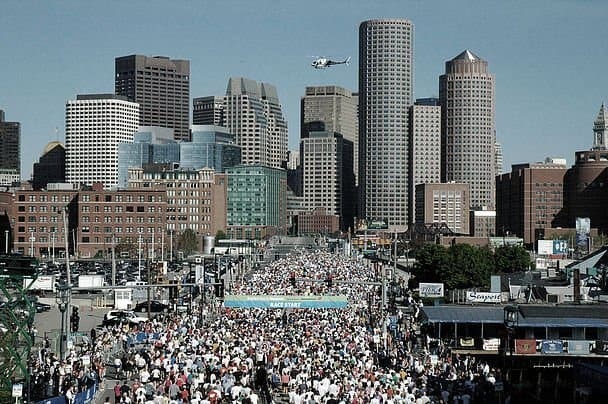 This half marathon in Boston, MA is held in May and is a tribute to remember first responders who were lost in the line of duty. Because this race is in memory of, the spirit and morale surrounding this race are very high, and profits go to a good cause. You can even nominate a fallen hero you personally know. Friday and Saturday before the race there is a fitness Expo you can take part in. The race is on Sunday, and starts at Seaport Boulevard at the Seaport Trade Center. Join approximately 10,000 other runners in support of a great cause. Post-race refreshments are also served and awards are given. You’ll see some really great historic sites along downtown Boston and the Back Bay section. These include the Public Garden, Post Office Squares, the State House, Faneuil Hall, the Government Center, Boston Common, and the Old State House. It is like taking a city tour during your race, plus you’ll get to take in the Boston skyline. Boston, MA is a fun place to plan a trip to, as there are so many things to also see and do. The majority of attractions revolve around the city’s great history. You can also take in some waterfront sites at Boston Harbor or check out a Red Sox game! 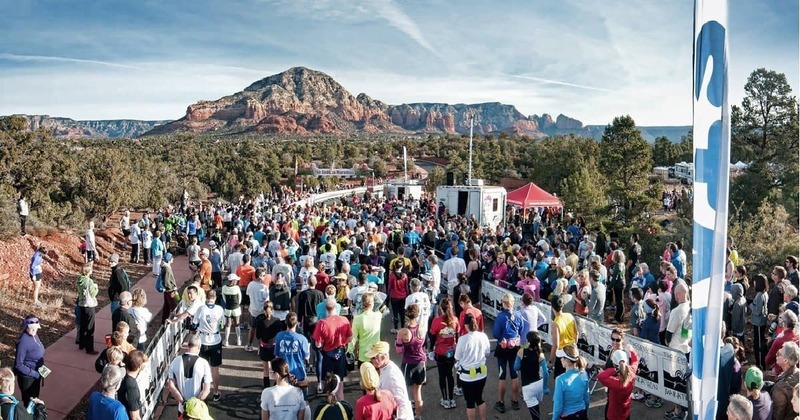 Mentioned by Good Morning America as one of the most beautiful cities in America, Sedona hosts this half marathon through scenic Coconino National Forest District, full of amazing red rock formations and its downtown streets. This course has a variety of terrain, flat and hilly, but known for its picturesque beauty. Race day includes a pre-race expo with a beer garden and a number of vendors sharing food and products for sale, giveaways, and even local non-profit organizations sharing information. At the finish line there will be free refreshments to recuperate from the run. This race is held in February, so plan your trip with an extra couple of days to enjoy all that the Sedona area has to offer. You will fine a variety of attractions, from wineries to museums, state parks, and art galleries. This is all in addition to the area’s natural beauty, just taking a drive is enjoyable enough to make it worth a trip for this race. Or to add to your physical activities, take a hike along many of their trails through the red rock hills. Biking the trails is also an option and enjoyed by cyclists. 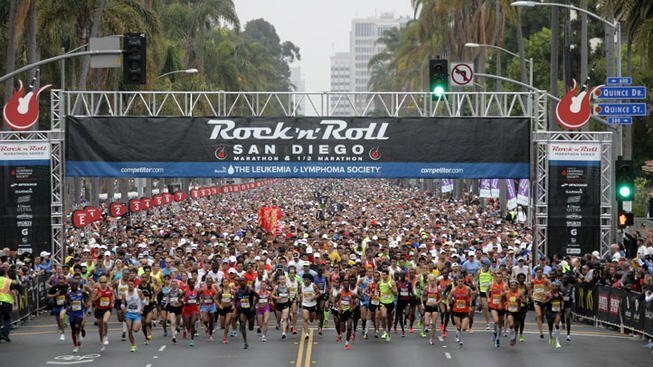 If the crowds don’t bother you, the Rock ‘n’ Roll Half Marathon in San Diego is one of the largest half marathons in the country. Typically held in June, this race starts at Balboa Park and runs through a variety of neighboring areas surrounding San Diego, ending back at Ash and Union Street downtown San Diego. This is a USATF certified course and a qualifier for the Boston Marathon. The race course starts with a moderate uphill course, followed by a flat stretch, and then a gradual decline to the finish. There are live local bands and cheer squads to motivate you all along this race. Other than the live bands playing music on the route, the race is followed by a finish line festival and a huge post-race concert, hence how this became known as a Rock ‘n’ Roll race. Race admission includes tickets into their two-day Health and Fitness Expo, plus a gear goody bag and a beer at the finish line festival. Make sure you give yourself extra time to see all the many activities that San Diego has to offer. This race is held in October, presented by Jim Beam, and is subject to racers age 21 and over. So as long as you fall into that category, this race is a super fun one to participate in! Especially if you like bourbon, because that theme is promoted throughout the entire weekend of the event. The full weekend events include a Bourbon dinner Saturday night before the race. Racers get to enjoy the Bourbon Bash after the race, which includes tastings of bourbon, beer, pizza and photo opportunities and prizes. A Bourbon Tasting walking tour is also offered as an event to anyone who wishes to attend. This race terrain is rather hilly, with many ups and downs and runs through the various streets of Louisville. Runners can enjoy post-race refreshments at the finish line and get entrance into the Bourbon Bash. Louisville also has many attractions to enjoy, with several sports attractions like the Bat Factory and the Slugger Museum. Beautiful river views can be enjoyed, as well as the Louisville Waterfront Park. There are also many historic and cultural sites to visit.